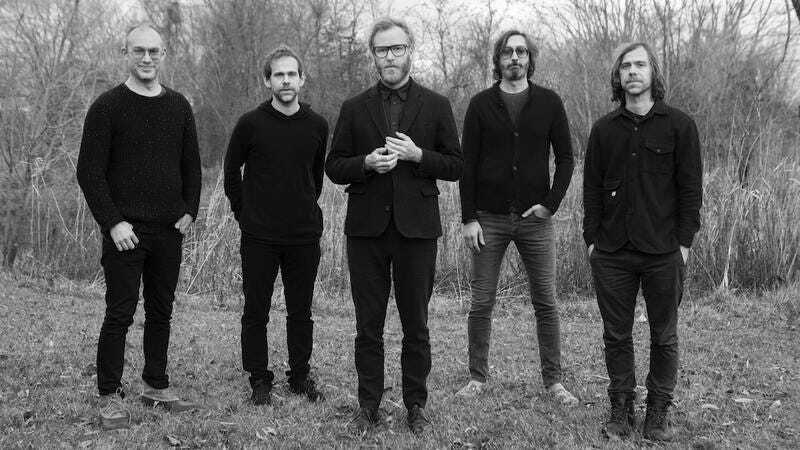 The National will release its seventh album—and fourth since achieving suave-n-gloomy perfection with 2005’s Alligator—on September 8, and will commence a world tour shortly thereafter. Sleep Well Beast was produced by the band’s own Aaron Dessner, whose production credits include the likes of Sharon Van Etten and Frightened Rabbit. The full track list is below, along with tour dates and a video for “The System Only Dreams In Total Darkness.” (That title sounds more like it belongs to Interpol, no?) You can pre-order the beast right here, presumably in the usual array of formats.